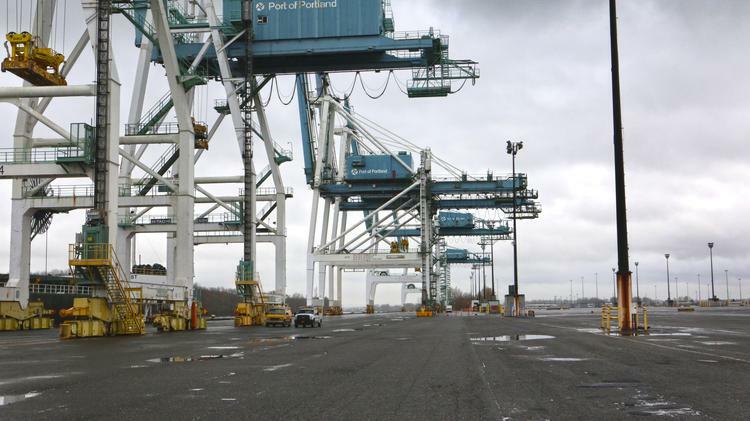 Portland's container terminal operator is working with an Idaho senator to stop unions from slowing down work as a negotiation tactic, following months of almost stand-still conditions at West Coast container ports. Sen. James Risch, an Idaho Republican, introduced a bill in Congress that would define slowdowns as an unfair labor practice - a response to the backlog of ships and containers along the west Coast during months-long contract negotiation between the International Longshore and Warehouse Union and port operators. So far, no Oregon legislators have publicly supported the bill. "The practice of 'slowing down' the critical West Coast ports is unsafe for the Idaho economy and the larger national economy," Risch said in a statement. "With more than 65 percent of all U.S. "